I must say that the item description is a bit humorous to read though. 1. Did you receive levers? 3. Isn't there too much clearance between levers and mount? 4. Did you have to pay tax/customs in Norway? I'm after an original front brake lever...Broke the knob off mine and can't find one anywhere... I only have the main dealer to try next !!! I'm in the UK...!! Fitted these levers today. Bought on Ebay (rzmmotor). Very happy with the price and quality, the clutch is now so much easier to manage. These are Titanium in colour. Could you please give a e-bay link for this item? Thanks! How did you fix the issue with the interference between the clutch lever and the housing of the control unit. I have a set of it, so I have to adjust the freeplay and rotate the mirror a little bit in order to start my bike. But then I have issues with the clutch feel. I am looking for a permanent solution to solve it. 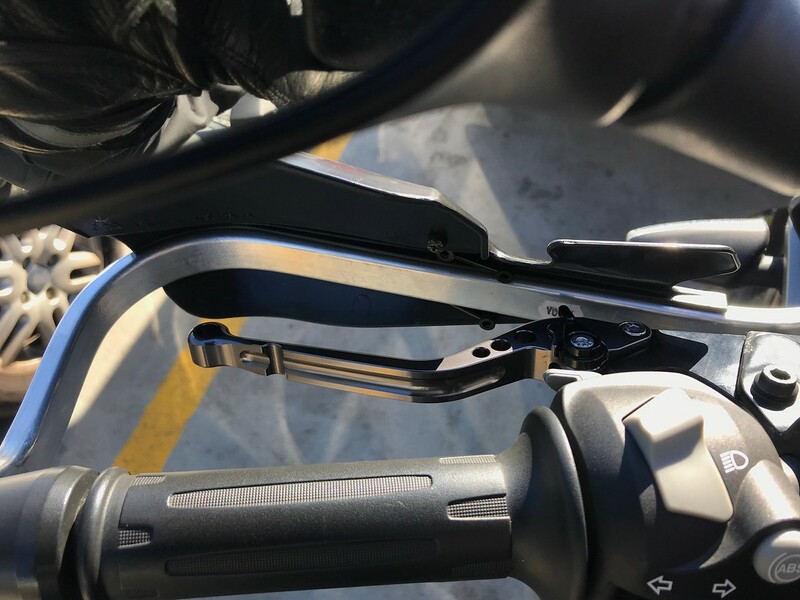 Rally-Raid are machining their own version of this style of lever that will offer full clearance and adjustment range - they ought to be available soon. Dat is a good news! 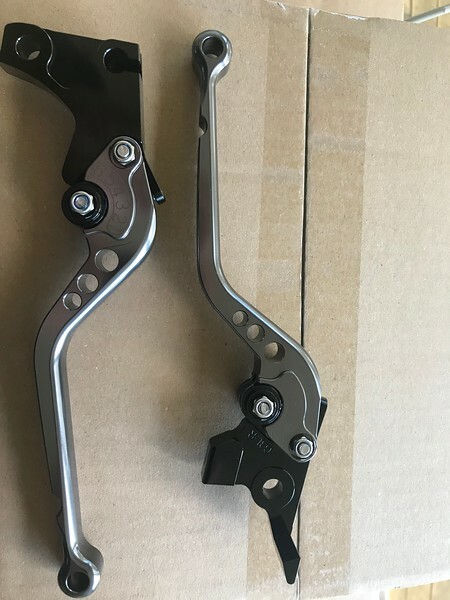 When is the Rally Raid lever going to be released approximately? For clutch I went for PUIG. The good new is that it does not interfere with headlight switch. 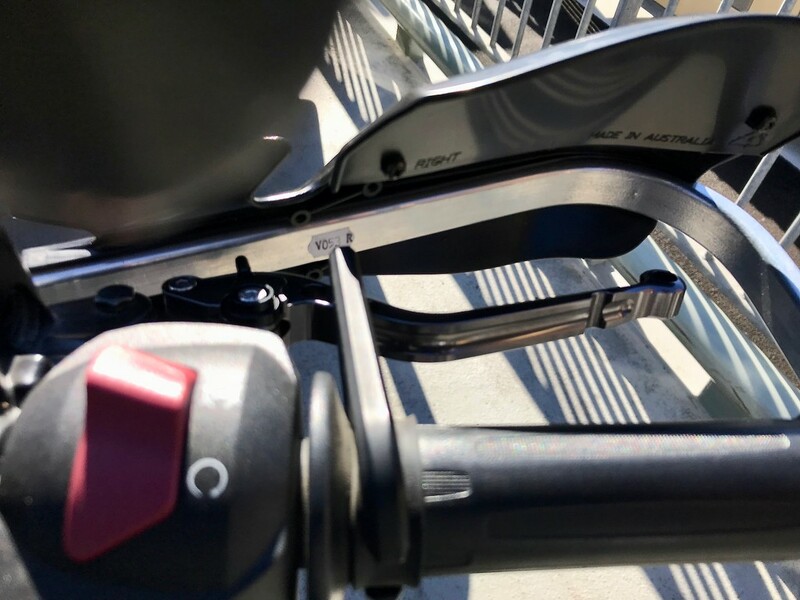 the bad is that it does not improve that much in making the lever closer to the handlebar, just little improvement. Thanks marci for your post. Very useful!